Click below to see the retreat brochure! Are you a survivor of a past abusive relationship? Would you like a chance to connect with other survivors while learning about the power of telling your story as part of the process of overcoming past abuse? Do you want to explore different avenues for telling your story via spoken word, writing, advocacy, and other creative approaches? 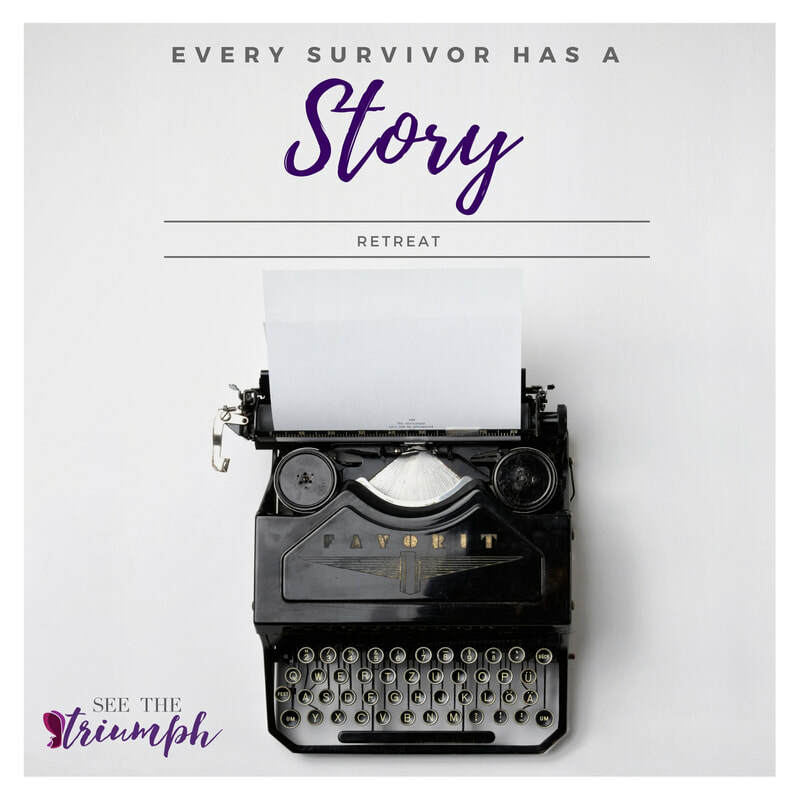 See the Triumph hosted it inaugural Every Survivor Has a Story Retreat on Saturday, May 19th, 2018. Please review our flipbook above for more information about the retreat. To be eligible to participate in the retreat, participants will be required to have been out of any abusive relationship for at least 6 months prior to the start of the retreat. For the May 2018 retreat, participation will be limited to female participants. The fee to attend the day-long retreat is $25, and this will include lunch, snacks, and all program materials. A limited number of need-based scholarships are available because we do not want the fee to be a barrier to anyone attending the retreat. Additional details can be found at the retreat application form: https://goo.gl/forms/v55AWvanfE171e3e2. You also may download a pdf of our retreat brochure by clicking below.